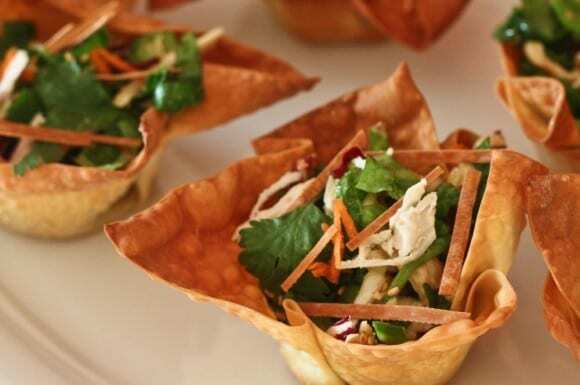 This is our special Chinese chicken salad served in pretty wonton cups. Wouldn't these look great on a buffet table adding a nice splash of color? The salad is tangy and crisp, made with shredded chicken, napa cabbage, radicchio, romaine, and carrots.